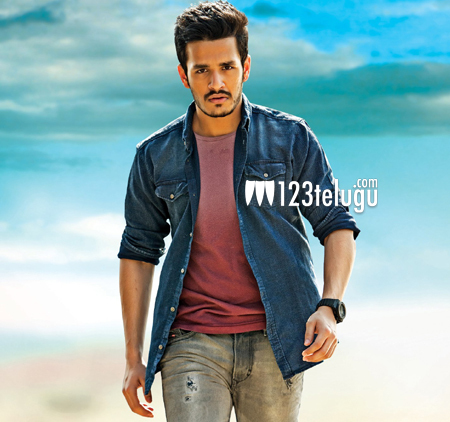 Akhil’s Tollywood entry has become the center of attraction. According to the latest reports, the distribution rights of the film have been sold at a whopping 2.5 crores in Krishna region. This is a huge amount for a star who is yet to have a release. Hero Nithin is producing this film on his own banner and is personally overseeing the shooting formalities. Sayesha Saigal is the female lead and V V Vinayak is the director.